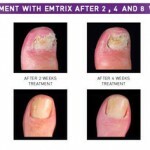 Developed in Sweden, Emtrix’s unique formula utilises three active elements to normalise thickened, deformed nails and reduce discolouration whilst eliminating fungal infections and psoriasis without the need to file. Lactic acid and urea soften and gently peel away the damaged layer of the nail, reducing discolouration and improving the nail’s appearance. Emtrix’s unique formula penetrates deep into the nail, healing and hydrating the whole nail, not just the outer layer. 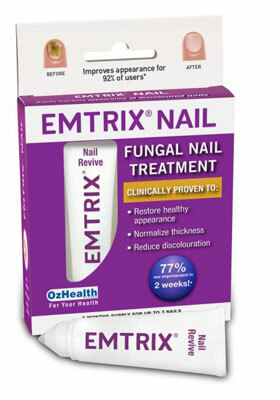 Clinical trials also reported that Emtrix destroyed the nail fungus it was tested against, proving Emtrix’s effectiveness. 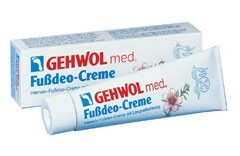 Emtrix adds and binds moisture in the nail, whereby the moisture balance is restored. 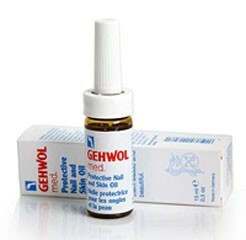 This affects the nail’s condition and gives your nails a healthier appearance. 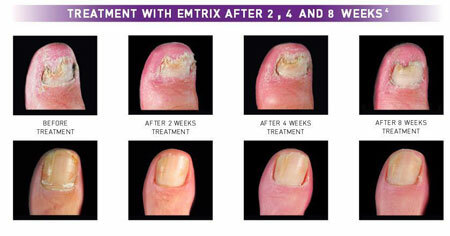 Emtrix changes the nail’s microenvironment so that the nail fungus no longer can thrive.